Dear Mr. President; We should never Prioritize the Hurting. 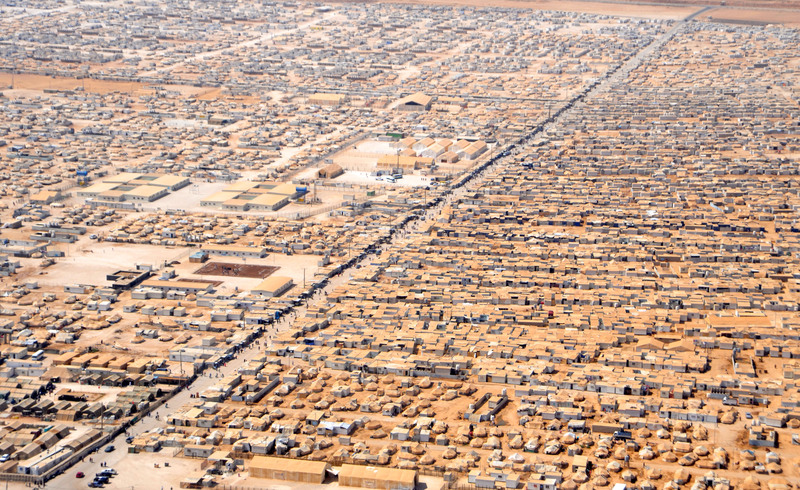 Refugee Camp, photo by world bank. Unless you have shut off your social media (if you have good for you) to avoid post after hateful-post. Then you know that President Donald J. Trump recently reversed a controversial ruling by Obama that prioritized Muslims over Christian Refugee’s. The move was seen as a slight to Christians which make up 10% of the Syrian Population and who have been just one group targeted by ISIS. Under that prioritization only 1% of the refugee’s that were allowed into the country identified as Christian, a number which seems to baffle Christian Leaders and some of my own family members. I get it, we need to watch out for our brothers and sisters in Christ, but should we be so exclusive? Is it even right to prioritize people, especially if that prioritization makes one undervalue or even devalue another. If we do that are we any better than ISIS? If we place hurting person over another based on any other category then the fact that they are hurting, we are undervaluing them, or even devaluing. What do I mean? If you are going to prioritize a group of people you have to come up with some criteria for prioritizing that group. That Criteria has to be something that one group has that another group does not. In this case the Prioritization deals with Religion, a Christian meets the criteria for special treatment and preferred immigrant based on “Christian-ness” while the Muslim is placed second because of his “Muslim-nes.” Putting aside that the Islamic State is a very stringent, Orthodox sect of Islam that is fundamentally opposed to any group that does not interpret the Quran or Islamic Teachings and the debate as to whether they are indicative of all Muslims. (NOTE: They are not, there are peaceful forms of Islam such as Sufism which is primary ascetical and monkish in their peaceful devotion). Like the Christian Faith there are many interpretations and many manifestations of Islamic Faith. There are fundamental, and core teachings at the center of all forms and yes, Sharia Law is one of them, but there are some a number of sects who reject violence as a way of spreading the Islamic Faith). While Religious Identity is important inside of religion, as in, I am a son of God, meant to reflect Christ and be like Christ or a “Little Christ” or “Christian.” Certainly within my religious group I should, with all my energy, pray for and care for those who are right in front of me and seek to be a voice for those who cannot speak. To be a man after God’s own heart and be a light to those outside of my religious community, I would expect this kind of devotion to the tenants of ones faith from anyone who claimed to be in a religious community regardless of their practiced faith. But I do not think that should determine a person’s priority on a Government list as a refugee or be the determining factor in whether they are allowed to enter a country or not. That being said, if religion is not the correct criteria then what is? Degree of Suffering? No, that is almost impossible to determine from a Government office and requires one to be in touch with a name on a list with millions of people which is impossible, even for the government. We would get into trouble if we looked at ability or ethnicity, both would cause greater discrimination than merely discriminating on the basis of religion. I mean, we should not be discriminating at all, if we truly believe in working for the good of everyone under our influence, and even those outside our influence, maybe we need a completely different Criteria for determining who we help and who we do not. How about this, if a person is living, breathing and in need of aid and assistance we do our best to alleviate, step in, build up, love and care for their needs whenever we are able. Like the Good Samaritan, helping first one who considered him a half-breed (a Jew) and making arrangements for his care and recovery. So much as we are able, whomever we find to be suffering whether it be locally, with those hurting in our communities or those hurting and under fear of death in other countries, let us provide aid and care and love and be a healing voice and hand in the midst of the turmoil. Let us step out of our comfortable existence that puts us (myself included) out of touch with the plight of others. Instead of trying to find ways to ignore the hurt of others or coming up with arguments for why we cannot care for such and such or agree with so and so. Let us actually be humans loving other humans. Is a child starving, feed her, is a father suffering and afraid of losing his family and his faculties, come alongside him. Is a Refugee barely making it by, provide a meal, clothing a chance to work. Share a kind word, a smile, a gentle touch. Stop waiting for or demanding that others care for others and start doing it yourself, where is the good in having material possessions if we are not caring for others. In his book “The Patient Ferment of the Early Church” Allen Krieder lays out the methods that the Early Church used to grow and gain converts in a hostile environment like the Roman Empire. In every chapter there is some reference to the emphasis on lived faith. Christians had to, in the public eye, live their faith by caring for the widows, the orphans and the poor. At first this was done within the community of believers because it was so dangerous to be a Christian, but eventually it spread out from the church and the church began taking care of the families of unbelievers. The love and care of the Christians caught increasingly more attention and the church continued to grow exponentially. This is especially amazing because, as Krieder points out; “There is absolutely no evangelistic writing from this time period.” The Early Christians knew that the best way to reach anyone was to show mercy and grace and love and to serve and care for and alleviate the suffering of whomever was placed before them. Especially when it was dangerous and could get one imprisoned or put to death. It may sound funny but I agree with Dr. Jim Singleton’s sentiments from class the other day: “We have never lived in a time more closely resembling the situation of the Christians in the 1st and 3rd centuries.” Do you get that? There has never been a better time for ministry and there has never been a better time in the History of the American Church for us to actually be the Church as Christ meant it to be. So let us not prioritize outside of prioritizing the alleviation of suffering for all who are suffering and doing out best to be a light and witness through our care and love for others. Let us remember that this is not a Christian or Muslim Crisis, but a human crisis and we now have the greatest chance for ministry and care as God intended that we have ever had. Let us learn from our Christian brothers and sisters of the past and care for all who are put before us. Maybe then we actually can build a better world, where we live at peace with everyone and are a light to all nations, practicing religion that is true and undefiled. Fire With Fire: We have to Stop Hating.